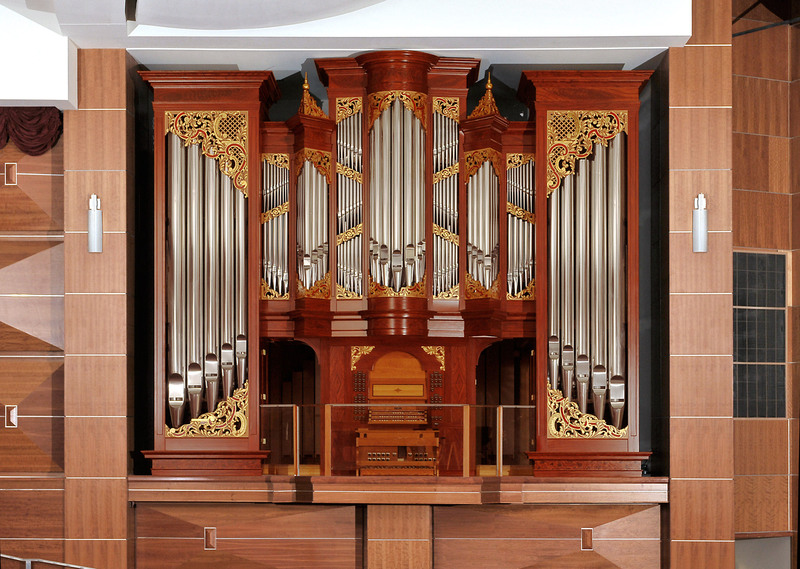 Though the genesis of the project stretches back to the early-1990s, the contract was signed in 2001 after the late James R. Cox donated the organ, which is located on the side wall of a newly renovated auditorium now named in his honor. This installation fulfills the dreams of Emeritus Professor of Music, John Brock, who is a nationally respected organ pedagogue. The placement of the organ to the left side of the stage reflects the multipurpose needs of the university (from dance and theatre to lecture hall, meeting room, and of course recital venue). This project demanded creativity to use the limited space in the alcove, present a complimentary faux grain façade that would balance the room, and to project a full sound into a relatively dead acoustic. 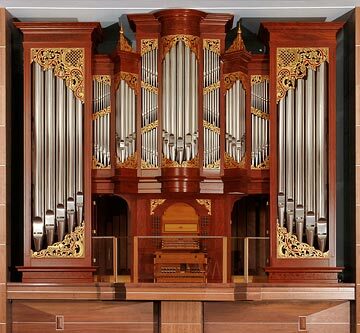 The organ contains larger pipe scales voiced on 87mm of wind, and a full complement of bass stops which enable the organ to fill the auditorium with a round full tone for solo recitals and work with other musicians.